Well decorated garden looks great, but for the decoration it need so many things. Mostly people use fountain, pots and different flowers to decorate their gardens but here we are telling you the different way for this. We are recycling metal to decorate garden area. Metal is not a trash but it’s a precious thing by which you can make so many other things. 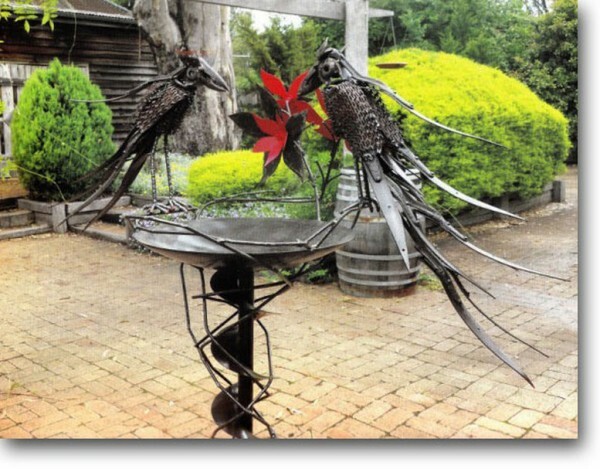 Recycle metal to make cool birds like in image crow is made by using waste parts of metal. 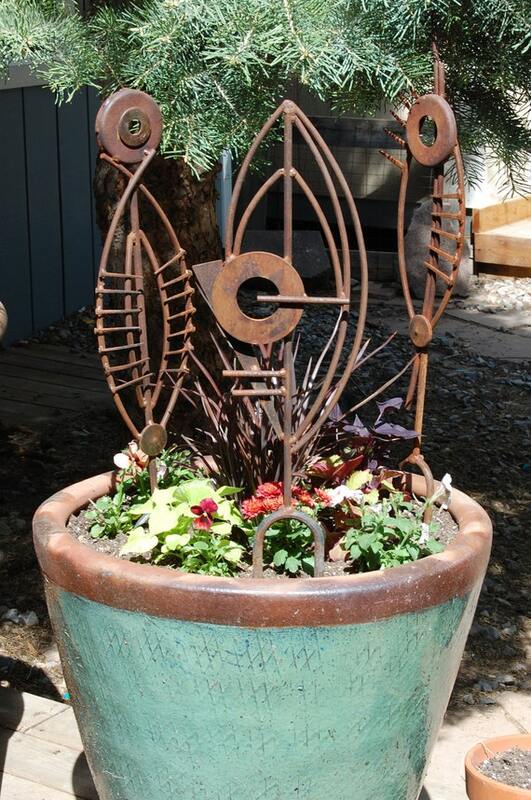 Turn you old style flower pots into new by giving them a touch of metal. 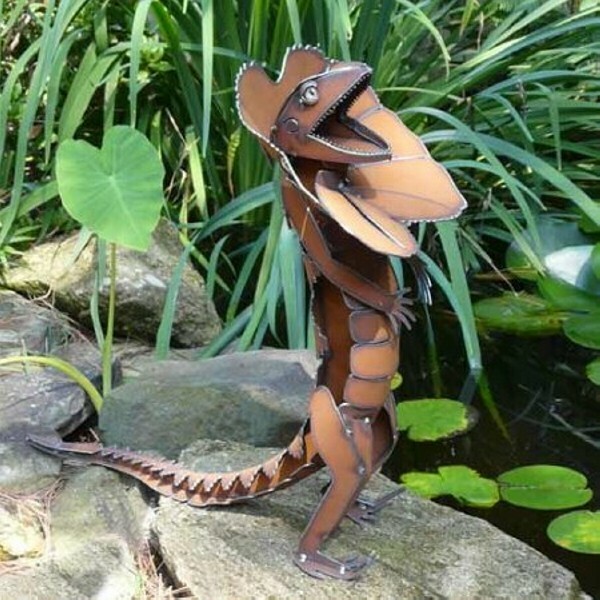 create this awesome design by using metal. 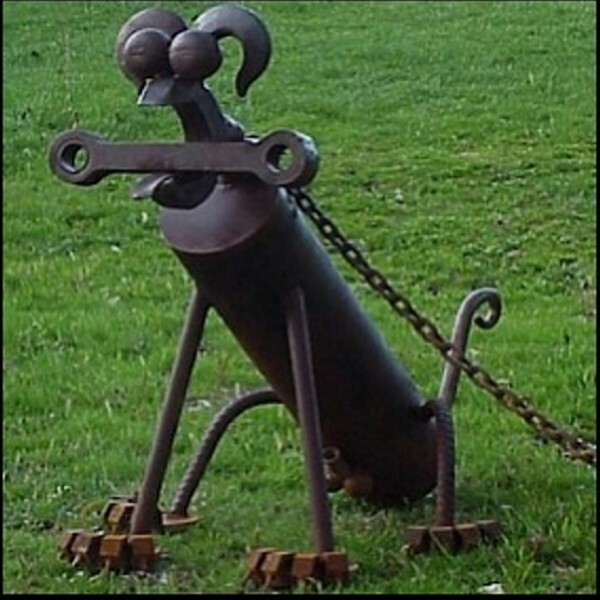 Recycle futile metal parts and create dog by fixing metal scraps. Place it in your garden area it will give an antique look. 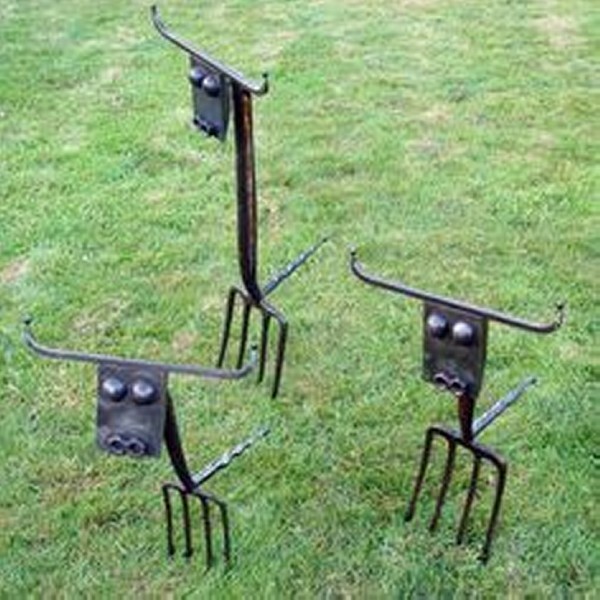 Use different metal tools that are useless and mould them in animal shape. 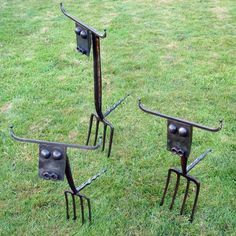 As like in image shovel is recycled to make animal and decorating garden. 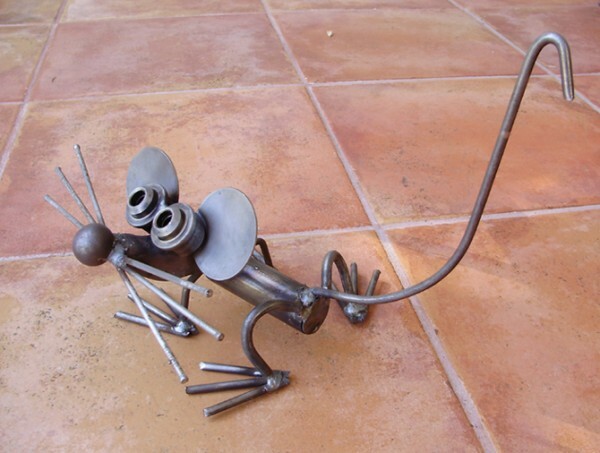 Create real looking mouse by using scraps of metal, joint them all and you will have this creepy mouse to decorate garden. 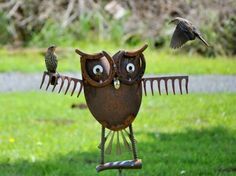 This is little bit scary, do you want to scare your friend then place it in your garden and give your garden a wild look. Create owl by using different metal tools that are not in use now, don’t put them in stores take out them and make this creativity. 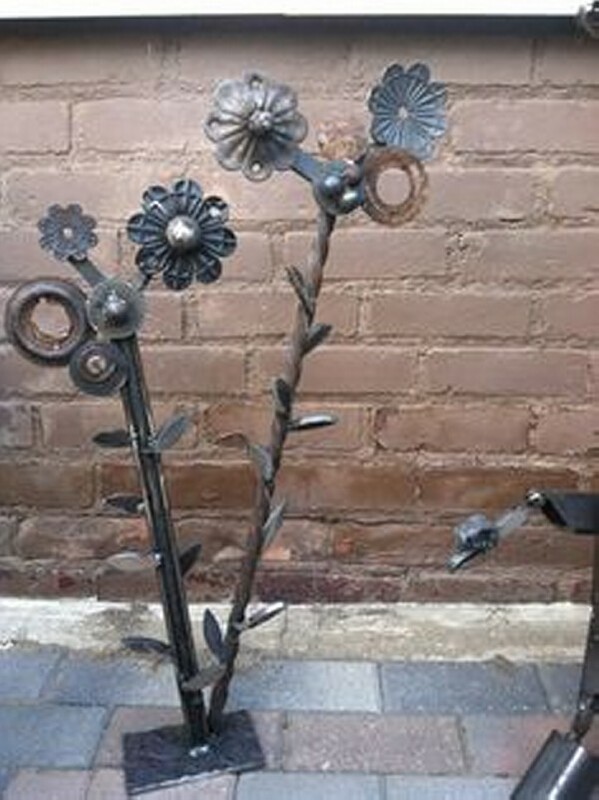 Give your garden a new look by putting metal flower with original one. 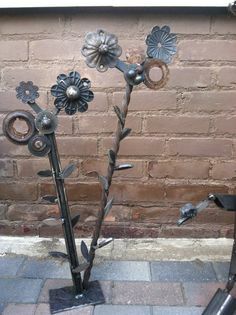 you can make these kind of flowers by using small metal parts. 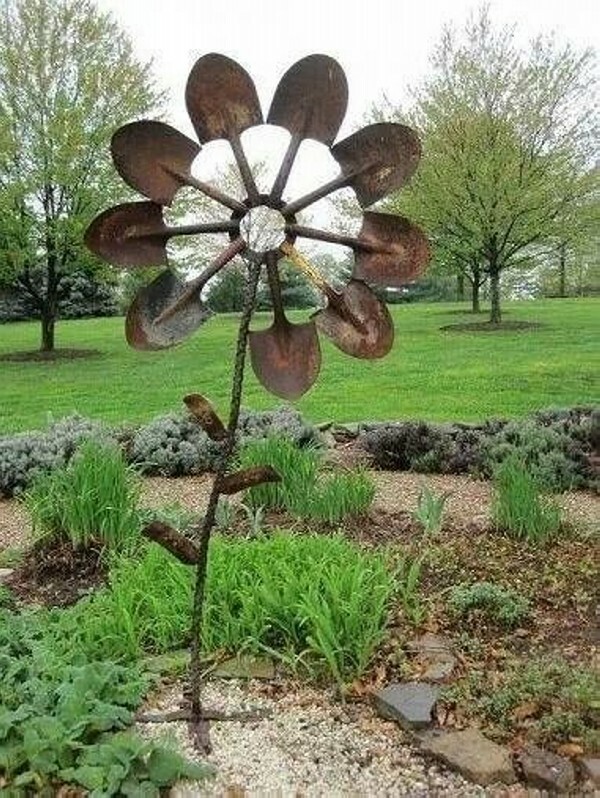 Recycle metal and make this beautiful big flowers to decorate your garden . Here in image flower is made by joining many shovels together.